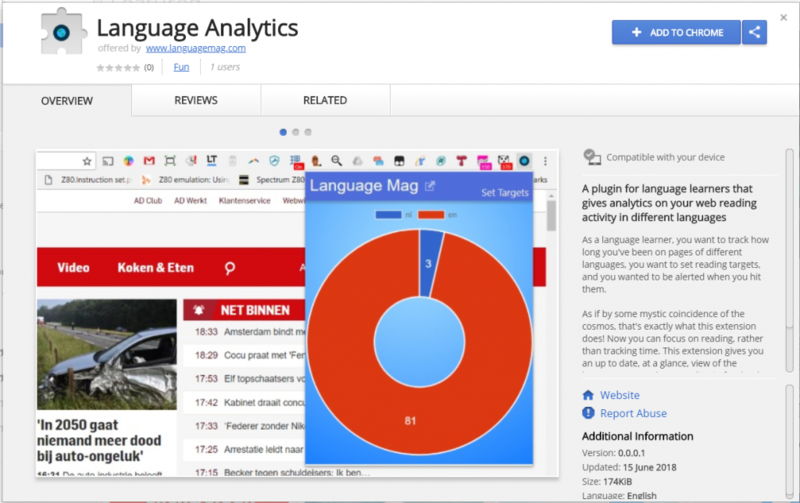 The clever little Language Analytics plugin helps you to track how long you’re browsing on pages in different languages so that you can easily tell if how much you’ve been reading in a foreign language. 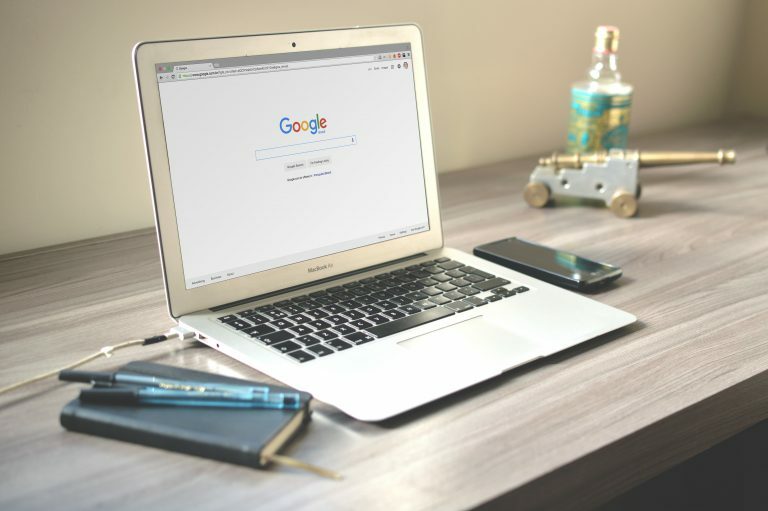 Better yet, it allows you to set browsing time targets in any language you choose and then gives you a notification when you get hit those targets. 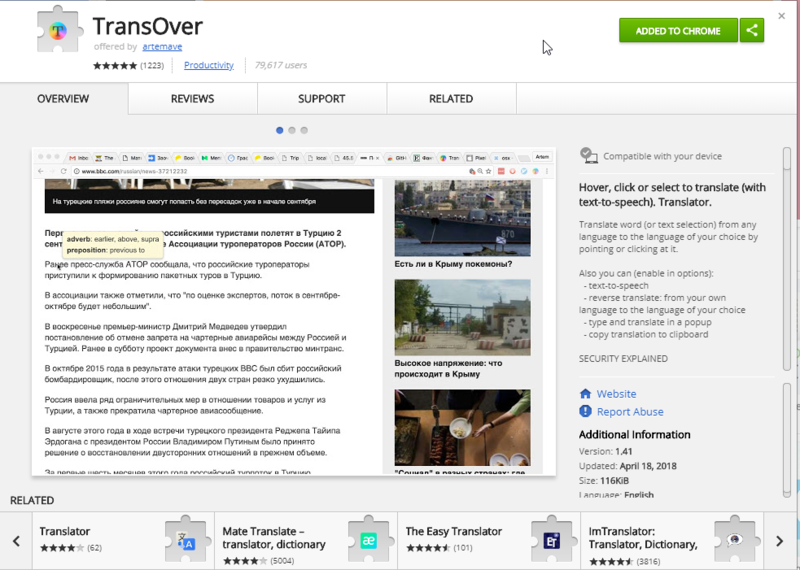 Transover is a clever little extension that uses the power of Google Translate to let you easily translate words that you don’t know. You can highlight selections or hover over words and a little popup will give you the translation. It’s not always perfect but it’s definitely a great tool for letting you get the meaning of words without disrupting the flow of your reading. I’ve used this extension extensively for helping build vocabulary effortlessly through reading. Did you know that all HTML5 videos have the capability to be played slower or faster (and most videos on the internet are now HTML5)? No. Me neither until I found the Video Speed Controller extension. 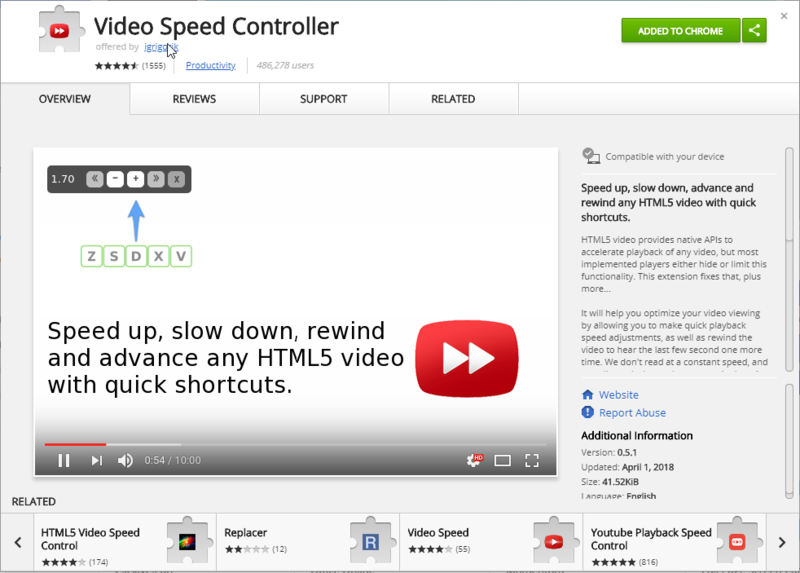 With this extension you can assign hotkeys to slow down or speed up a video. Now obviously we’re not going to be doing much speeding up but it’s super useful to be able to slow down those fast native speakers to a more understandable speed. MyVocabU is very similar to Transover in its basic functionality. But I prefer Transover. However, where myVocabU comes into play is that it allows you to set a hotkey to store highlighted words into a dictionary. 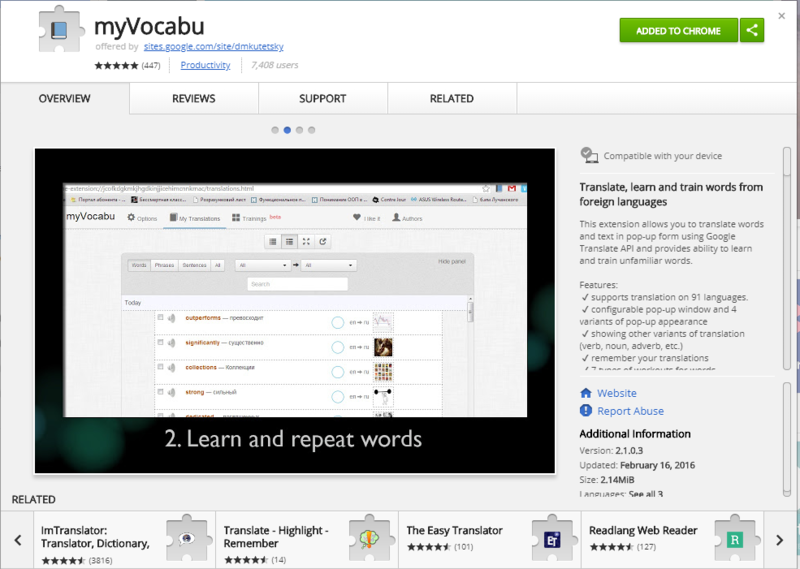 After this you can do flashcards or language learning quizzes with your dictionary of words. That’s super handy if you’re in the earlier stages of language learning and want to be your vocabulary more pro-actively. 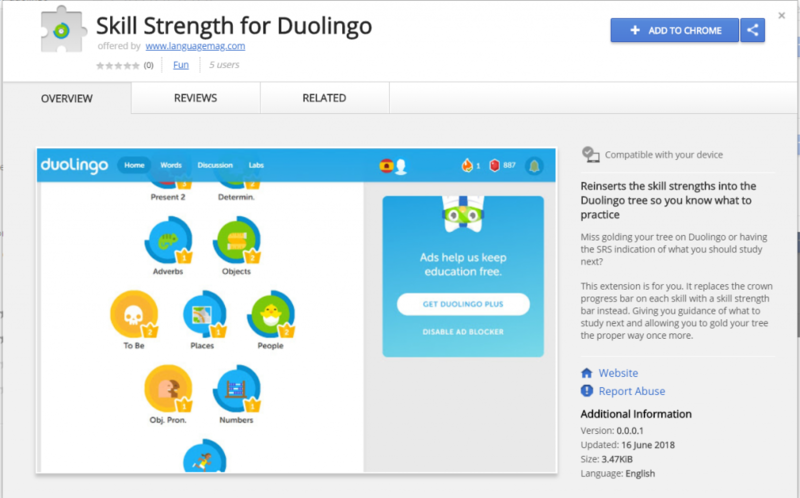 Fans of Duolingo will know about the chrome update, but many prefer the previous version that showed skill strength. Skill Strength for Duolingo is a chrome extension that changes Duolingo back from Crowns to the old SRS based system of skill strength. Hurrah! NextDuolingo Crowns Update – Is it Simply About Money?